This rare gold nugget crystal is from the El Boludo Mining District in Sonora, Northern Mexico. It is composed of individual gold crystals attached to a main body. 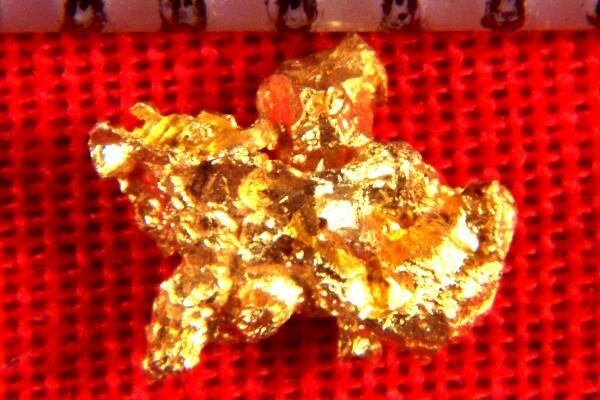 This beautiful gold specimen has gorgeous color. I only have a few of these gold specimens from this rare location in Mexico, so if you want one or more for your collection grab them while you can. Once these are gone you will probably never see gold nuggets from this location for sale again. 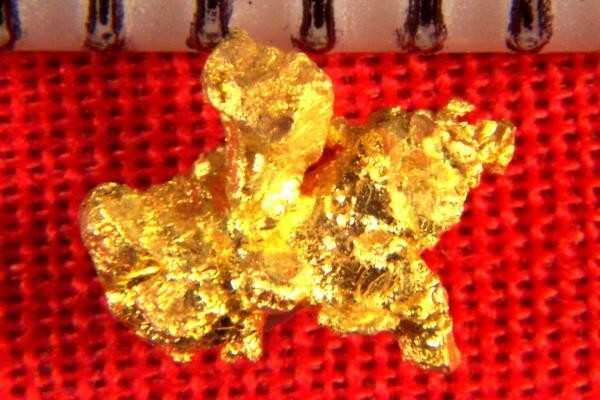 This rare gold specimen is 1/4" (6.5 mm) long and it weighs 3.9 Grains (0.25 Grams).